NAIROBI, Kenya, May 17 2018 (IPS) - Promoting the widespread use of innovative technologies will be critical to combat the hostile effects of climate change and reduce greenhouse gas emissions, and many African countries are already leading the way with science-based solutions. The Climate Technology Centre and Network (CTCN) and World Agroforestry Centre (ICRAF) provide support for countries in making sound policy, technology, and investment choices that lead to better approaches for mitigation, adaptation and resilience. A satellite program in Kenya measures the progressive impact of drought on loss of forage, triggering timely insurance payouts to help vulnerable pastoralists. From biogas to solar installations and improved water conservation, success stories abound on the continent. The challenge now, experts say, is to scale them up. According to the International Renewable Energy Agency (IRENA), Africa’s renewable power installed capacity could increase by 290 percent between 2015 and 2030 — compared to 161 percent for Asia and 43 percent for Latin America. The global Paris Accord is underpinned by its commitment to the reduction of greenhouse gas emissions, securing funding for alternative sources of energy and adaptation of technology in everyday activities that are geared towards shrinking humanity’s carbon footprint on the planet. African countries have internalised and made considerable efforts towards these goals despite budgetary constraints, with the United Nations lauding the continent for embracing technology and innovation in its journey to fight climate change. Jukka Uosukainen, CTCN’s director, spoke with IPS during the Climate Technology Centre and Network (CTCN) Africa Regional Forum held in Nairobi, Kenya April 9–10, stressing that technology is already changing the fortunes of people in the continent. For instance, Mali has successfully applied field contouring technology in rural areas such as Koutiala, reducing the volume of water runoff from 20 percent to 50 percent depending on the soil type. “This has improved the yield of crops in an area that experienced severe drought and bettered the quality of livelihoods owing to a rise in income,” he noted. Uosukainen said that Senegal has launched massive biogas digester projects through the National Biogas Program by implementing biomethanisation technologies that facilitate faster access to cleaner energy within the republic. The country also utilises tri-generation and co-generation technologies that use waste as raw materials for energy production. Furthermore, Mauritius has aptly integrated the use of boiler economizers, which capture the waste heat from boiler stack gases (called flue gas) and transfer it to the boiler feedwater. This has reduced the country’s dependence on imported fossil fuels, cutting energy costs and boosting socioeconomic growth amongst its citizens. Morocco has adopted photovoltaic technology that harnesses solar power for greater energy production. The Noor Ouarzazate IV power station spans 137 square kilometres and generates 582 megawatts of renewable energy for over 1 million people. This has helped increase the nation’s uptake of renewable energy sources to an impressive 42 percent, lessening the rate of air pollution and enhancing quality of life. In Kenya, a 630 MW geothermal plant has come on line, providing electricity for 500,000 households and 300,000 small and medium-sized enterprises. Kenya alone has the potential to generate 10,000 megawatts from its geothermal resources, says an analysis by Bridges Africa. Tony Simons, director general of the World Agroforestry Center (ICRAF), said that most African countries have chosen clean energy technologies as a part of their environmental solutions and ICRAF supports these efforts through its work in developing cleaner options for woody biomass-based energy, a key technology used across the continent. 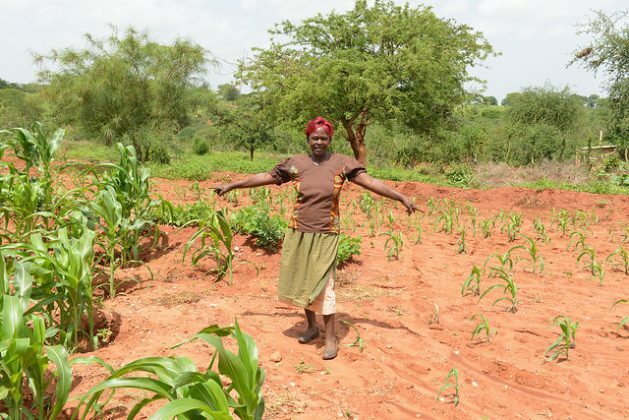 According to ICRAF, Kenya is using water conservation technologies like sunken-bed kitchen gardens and terracing to successfully increase yield production and improve food security. ICRAF has partnered with several eastern Africa countries such as Uganda, Ethiopia, Rwanda and Burundi in a project dubbed Trees for Food Security Project which conducts extensive research and development into special tree species for each nation. This involves detecting the seedlings suitable for specific areas and ensuring modern agricultural techniques are employed during planting. The forest cover helps prevent desertification, reduces carbon dioxide emissions through photosynthesis and enhances of the aesthetic beauty of the lands. And the Green Cooling Africa Initiative implemented in Ghana and Namibia encompasses modern air conditioning and refrigeration appliances that use minimal electricity and generate lower volumes of toxins into the atmosphere. Simons called for gender equality in any strategies to address climate change because in all communities, knowledge of agricultural and natural resource management differs by gender, making it is essential to include women’s perspectives in addressing climate change at the farm and local level. Rehabilitation of water projects is another field that’s getting attention, as African countries seek to reduce the overexploitation of such resources for the benefit of all stakeholders. For instance, in Kenya, a policy of “green water” technology has been operationalized with the support of various local and international partners with the aim of curbing water shortages and channeling it to better uses. This technology has enabled arid and semi-arid areas to have regular instances of water supply which is used for irrigation, animal husbandry and subsistence in homesteads. Therefore, it has limited the struggles that rural people undergo in search of water and pasture. Also the government of Kenya, in partnership with the World Bank Group, the International Livestock Research Institute, and Financial Sector Deepening Kenya, implemented the Kenya Livestock Insurance program (KLIP) in the northern part of the county. KLIP, which is Africa’s large scale public-private partnership livestock insurance program, uses satellite imagery technology to provide early warning of drought. The satellite measures the progressive impact of drought on loss of forage in the vulnerable pastoral regions of Kenya. It then triggers timely insurance payouts to help vulnerable pastoralists to purchase fodder and animal feed supplements to keep their core breeding alive until the drought has passed. Acceptance of climate change technologies and innovations has resulted in better farming methods, higher crop yields, lower energy consumption and a reduction in carbon emissions throughout Africa.